← Life as we knew it and the introduction of the sausage roll! For the love of Australian food! Recently here in Australia we’ve had a scare which involved imported frozen berries causing Hepatitis A, which hopefully will make all Australians think about the food we eat and where it comes from. I’m not just talking about the consumers but also the farmers/growers, the supermarkets, stores and the government. We all have a role to play in making sure that our wonderful Australian produce stays in Australia and is accessible and within the financial reach of everyone. And at the moment this is not happening. We are so very lucky that during the summer months we can buy fresh fruits and berries but they are not always within our reach. They may be too expensive (as is the case at most supermarkets) or you have to go to local markets (which is not always convenient for the busy families of today). I know I want fresh, vibrant and juicy fruit but I can’t afford to pay the prices that are charged not just by the supermarkets but also sometimes by the growers themselves. We hear that farmers/growers are selling to supermarkets at a very low price and by the time we buy them at the supermarkets the price has increased yet again. So we go to the growers markets and the same produce is being sold for a similar price to that of the supermarkets which seems a bit sad to me. If the farmers could sell somewhere in between, would this make a difference to our shopping habits. I know I would definitely make more of an effort to get to my local markets each weekend if I knew I was able to get good produce for less then what I pay in the local shops. I’m not saying to sell at give away prices but sell to be competitive. Having said that, with the scares of Hepatitis A from frozen fruit being sold in our supermarkets I will not buy any frozen fruit which is grown, processed or packed overseas. Now I am in a dilemma! 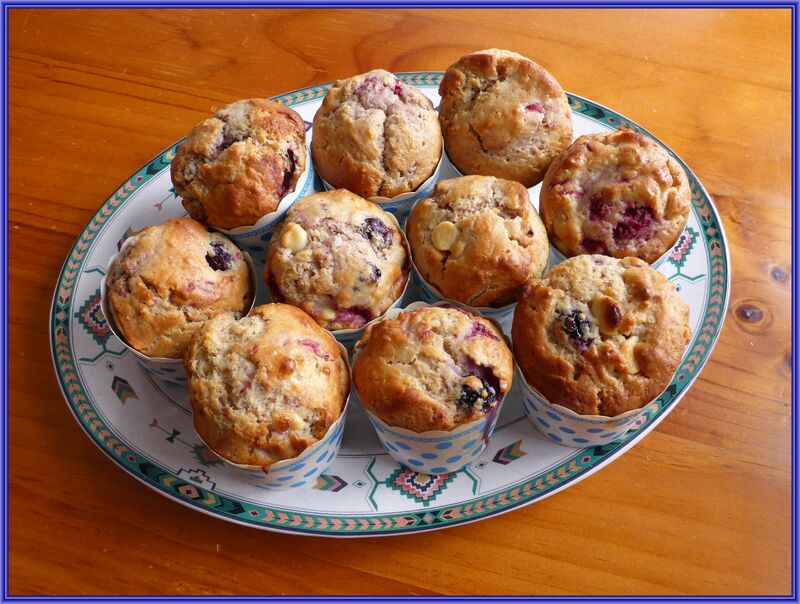 What do I do when I want to make that batch of blueberry muffins? Do I buy a piece of the berry tart from the bakery not knowing what fruit they have used? How do I find frozen berries that are grown, processed and packed in Australia which are not going to send me to the poor house? And why oh why is our government allowing this to happen and why are our farmers not jumping on the bandwagon and getting their produce to us at a price we can afford? Does it all have to do with the profit margin? I know we all have to earn a living but we do need some sort of a happy medium. We need competition, we need profit but is this all about the money and greed. Where can we sell to get top dollar? I don’t know about you but I just want to be able to make some blueberry muffins knowing I won’t get sick and/or go broke! I also want to be able to go to the supermarket and be able to read and understand the food labelling but this is difficult and isn’t always straight forward. If you are like me I want to know where my food comes from and where it is processed and packed without having to spend an extra half hour in the supermarket reading every single word on every single label yet still not knowing if the product is truly Australian or in fact where it is from at all. And why should we! There should be rules and regulations governing this and if we live in Australia, which I have to say has the best food in the world, why are we eating so much food from overseas? To finish off I would also like to say that I love that Australia is a multicultural society and that we have so many different styles of food to choose from. I love that we can now buy specialty products from Italy, Spain, Mexico, Asia and so many other countries. But I do believe that if we can grow it, produce it, process it and package it here why aren’t we!? It would create more jobs, we could insure safety and health standards and above all we, as Australians, could enjoy Australian food at its finest. I want to be able to buy fresh, frozen, canned and packaged produce that is grown, processed and packaged in Australia. Do you? This entry was posted in Home, Rants and Raves and tagged Australia, Australian Food, Frozen Fruit, Markets. Bookmark the permalink.